No “Acquire Haters” step?! See I knew he wasn’t going to give away the whole secret recipe. The game is to be sold not told, I know that too. 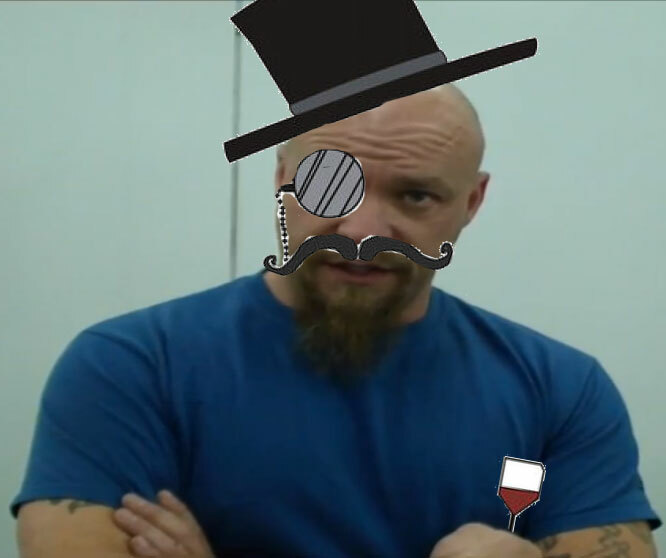 I am not planning on making regular YouTube videos, but it was still good to watch just to see his insight. Yea I don’t really get the .380 thing either. People have been asking Glock for a single stack 9mm for decades. Who knows though they might roll out the 9mm next year at SHOT. This .380 version was definitely good for generating buzz just off the complaining alone. 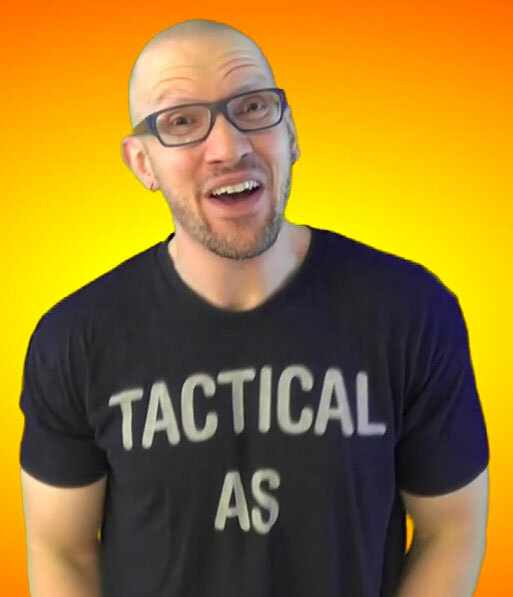 Tactical Tunes is wearing the Tactical As shirt from ENDO Apparel. The lyrics for this one must have come almost TOO easy once the FN topic was decided on. 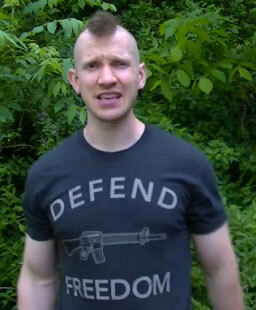 Tunes is in the Defend Freedom shirt from ENDO Apparel. The long sleeve version for a change even. Who doesn’t use Loctite? I’m sure they have competitors of some sort but I’ve never heard anyone being like “Are you doing to Pink StickyLockIT (TM) that castle nut bro?”. 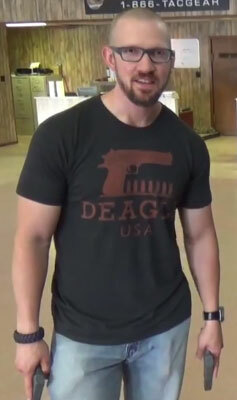 Tactical Tunes is wearing the ENDO AK-47 Selector Switch shirt in the video. 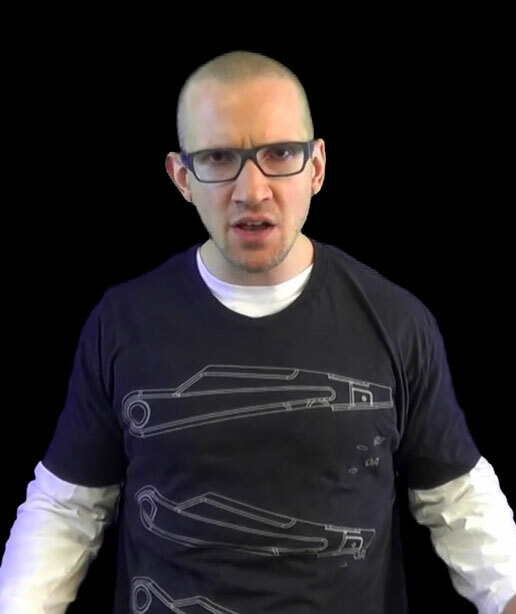 TTunes is so dynamic with the movement now in his vids… no more sitting in a chair, he moves around and dances now. hahah sweet wig and killer dance moves. I briefly had a G22 (.40), and I didn’t care much for it compared to my 9mm and my .45. I decided at the time, the only thing cool about .40 it was I used to snag brass the cops left behind at the police range I shot at. In the end I never did reload it, but I had a lot of it which I gave to a friend a while after I sold the G22. 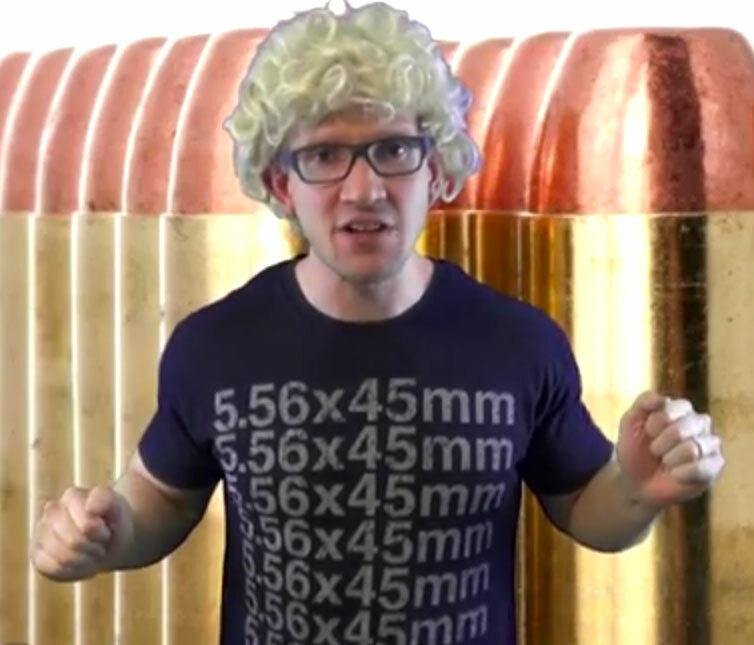 Depending on who you talk to, .40 is definitely the “god caliber”. haha I don’t know about that though. A lot of ENDO Apparel shirts in this vid, FXHummel / Tactical Tunes has always been a huge supporter of the brand and it’s much appreciated.